When I first started watching the film, I wasn't sure it was going to be any good or even make sense. I was totally wrong! This movie is an intricate, brilliant film. An epic adventure, a man trying to no avail to find someone, and all the while he finds himself. Of course there are touches of comedy in this film, but this is unlike any other Ben Stiller film. There are also a bunch of really terrific actors in it too. Then there is this cool soundtrack, that really fits the film well. The moral content in this story is going to resonate through me for a long time. This is definitely going on my favorites list, it was simply that incredible! Wow! I was a bit skeptic on whether or not this is going to be good. I in fact really like the old version starring Danny Kaye. Sure hope I win a copy now. For the most part I agree with your review! Wow, what a review -- you've got me interested in seeing it now! This movie intrigued me when i seen the preview, I want to watch it. I enjoy Ben Stiller's movies, and this one sounds like one that's a must-see. Thanks for the review! 5/5? I must see it! My son saw this in theatre and said it was really funny. Glad to see he's not the only one who really enjoyed it! I really want to see it, looks great and I love Ben Stiller! Your review encourages me to watch the movie with enthusiasm, thanks for the post! 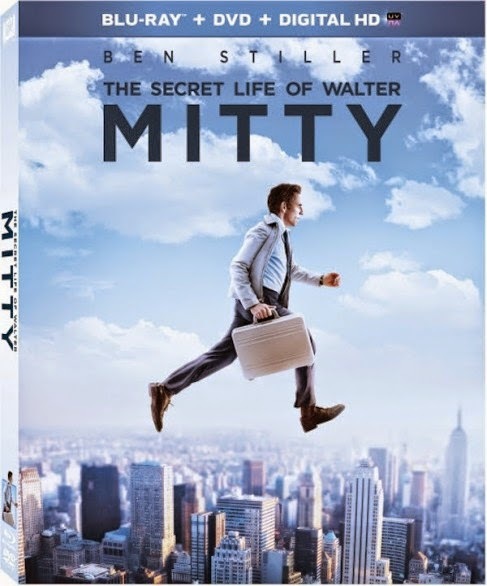 I am eager to watch The Secret Life of Walter Milly!